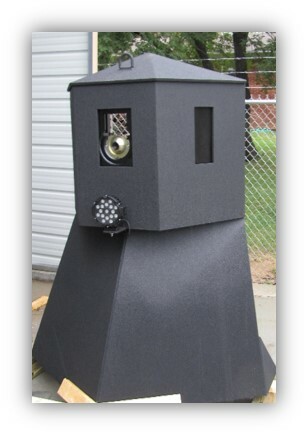 Kontek’s Personal Defensive Fighting Position system furnishes custom sized ballistic protection up to and including .50 caliber AP. The use of high-tech composite materials offering the same protection heavier metal protection provides mobility to this product. Ballistic rated windows and shoot ports can be configured to meet the specific requirements for the application. Easily configured to meet any requirements and protection including U.L Levels 1 through 8; NIJ I through IV and .50 caliber armor piercing.